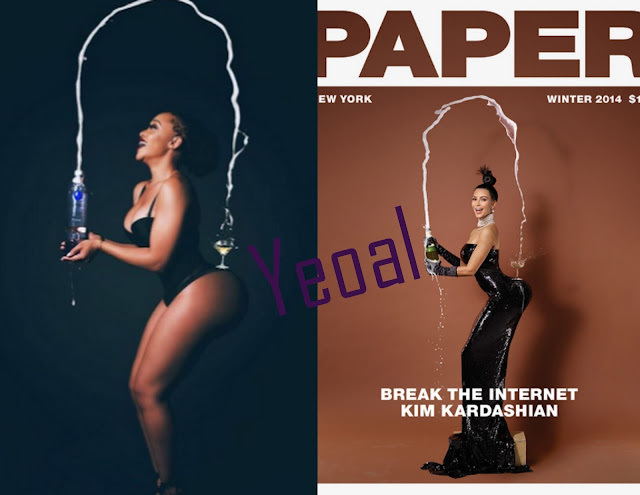 South African OAP and Dj, Thando Thabooty Thabethe , shared this recreation of Kim Kardashian's internet shattering, Paper Magazine cover. According to her, the picture is in honour of her friend, Cassper Nyovest. Did she nail it though?